By now you guys know I have a bit of an obsession with nut butters. 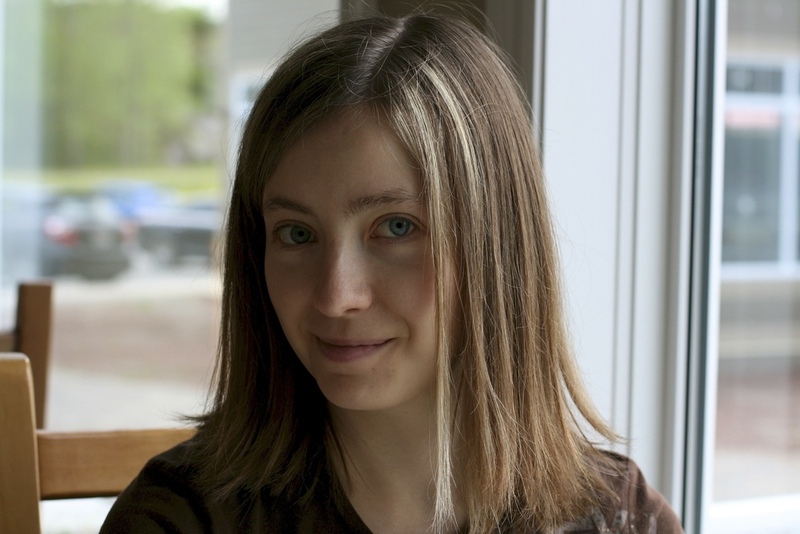 Don't worry I'm not turning the blog into a nut butter recipe archive. Although...no don't worry, I'm just kidding. I realize I've been posting quite a few snack recipes lately. That's because I love to make quick and easy snacks that have lots of functional nutrition for the body. Homemade grab-and-go snacks are my favourite kind. I promise I'll get back to posting more meal recipes. But for now I've got one more delicious one to share with you. 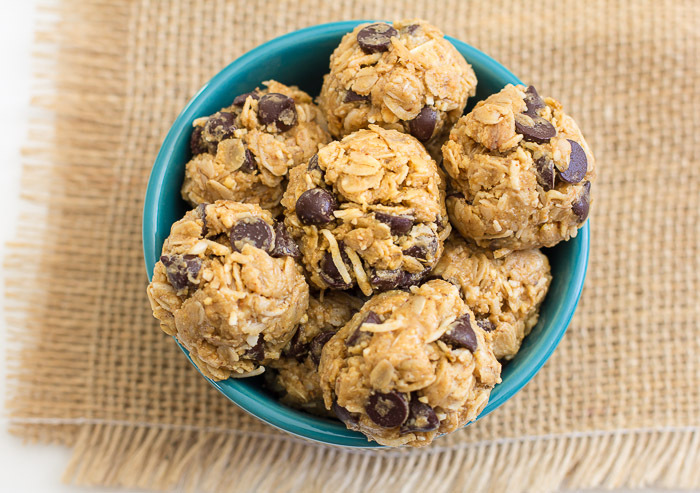 These chocolate chip oatmeal bites are full of peanut butter flavour and healthy fats to keep you feeling satiated. If you're not a big fan of peanut butter try using almond butter or sunflower seed butter. But I'm sure many people would agree with me if I said peanut butter completes chocolate. Made with 5 simple ingredients! No grains, No dairy, No gluten, and No refined sugars...and no oven required. Seriously what's not to love? 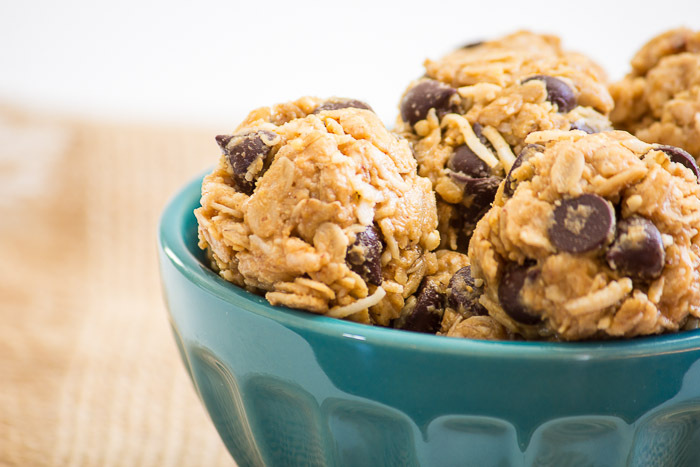 In a large bowl, mix together oats, almond flour, coconut and chocolate chips. Add peanut butter and mix together thoroughly. Scoop the mixture out of the bowl using a mini ice cream scoop or spoon and then using your hands, roll into balls. *Tip* Store in an airtight container in the fridge for up to two weeks.